There is nothing more important than being in relationship with God. We believe that each individual person is intended to move and live in covenant with God, attuned not solely to their own interests, but to the interests of others and to the love of God. Yet we also believe that each person lives with a string of broken covenants before God and with others. This is the history of Israel’s covenant with God; it is our history as well. We each forget what is most important in our lives. We break the promises we make with our spouses and our children. We fight and lose to addictions. We battle pride, envy, coveting, lust, rage, and on and on. So the story goes. But, in Christ, we believe that the string of broken promises die on Jesus’ cross. That wholeness is Christ’s work, not ours. This is the work of grace. Then, like Christ, we are called to rise and walk. This death and rising is salvation. What follows is the life of faith. If you are at this place of faith in your own life and want to know how to be saved, we offer you one word. 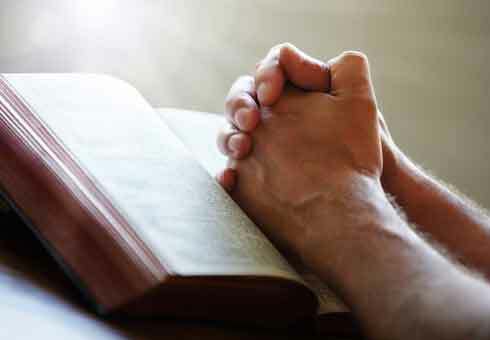 Pray – if you are ready to begin a life with Christ, take a minute to pray. Bring your broken promises before God. Like we do with all relationships, ask for forgiveness and then declare that Christ’s death is sufficient for you. No more blood must be shed. Then make space on Sunday morning to join us in worship. 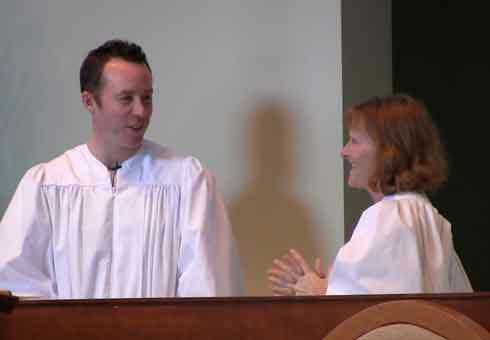 If you would like to proclaim Jesus as the Lord and Savior of your life in baptism, please email FBC’s pastor at info@fbcblm.org While we offer baptism classes, we recognize that God does not necessarily work on our time. The water is always ready.